Earlier this month, KID patrons voted to recall Board Chairman Brent Cheyne, which will get KID back on track towards fulfilling its traditional services to its patrons. During the course of the extensive, grassroots work that went into this recall effort, e-mails were acquired during a series of public records requests involving public officials and KID. 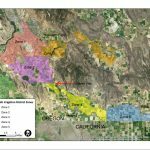 Those of us involved with the recall efforts are concerned about the information contained in some of these emails and what it might portend for the greater community, beyond the borders of the irrigation district. After reviewing this matter further, we have decided to share those emails with other leaders in our community and media outlets. The emails and other developments suggest something larger and more complex than the devastating decisions of the recent board. 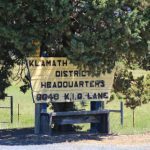 We hope this information can be used by others in a way that helps the broader local community better make informed decisions that could affect the future of Klamath County. In the meantime, we will continue to focus on our recall efforts.